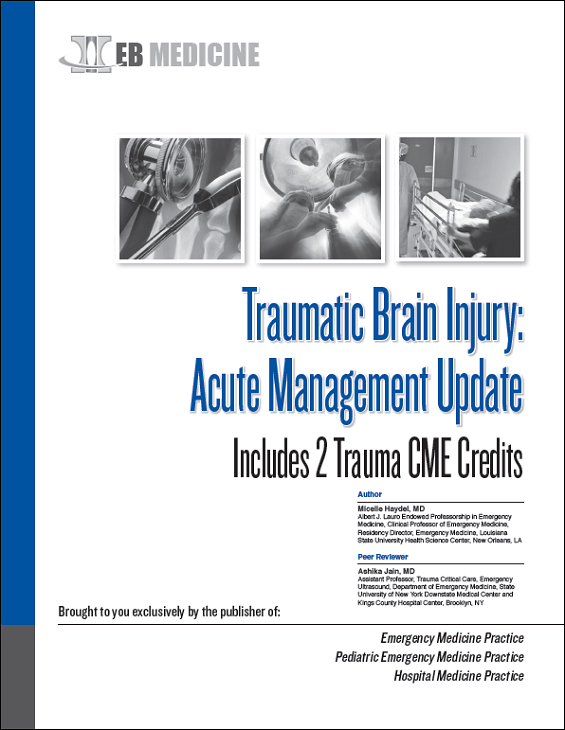 This resource reviews aspects of emergency care for traumatic brain injury: the initial approach, management of patients with elevated intracranial pressure, performance of secondary surveys and imaging studies. In addition to our distinguished authors' discussions, we have included pertinent commentaries on each topic from the perspective of emergency medical services, the research perspective, and the surgical perspective, in an effort to give a view of all aspects of traumatic brain injury care. Purchase the full version of the Emergency Trauma Care: Current Topics And Controversies, Volume I here.